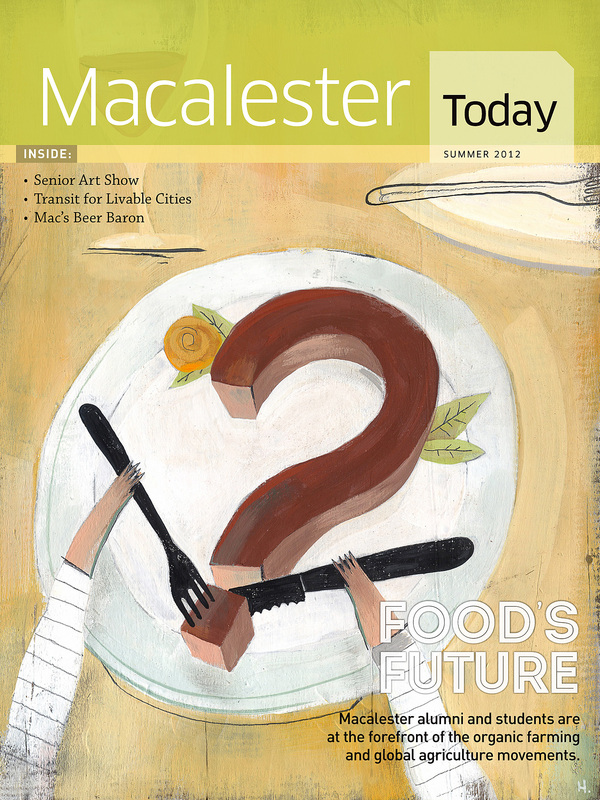 This Spring I had an editorial assignment with Macalester Alumni Magazine, it was an awesome opportunity. 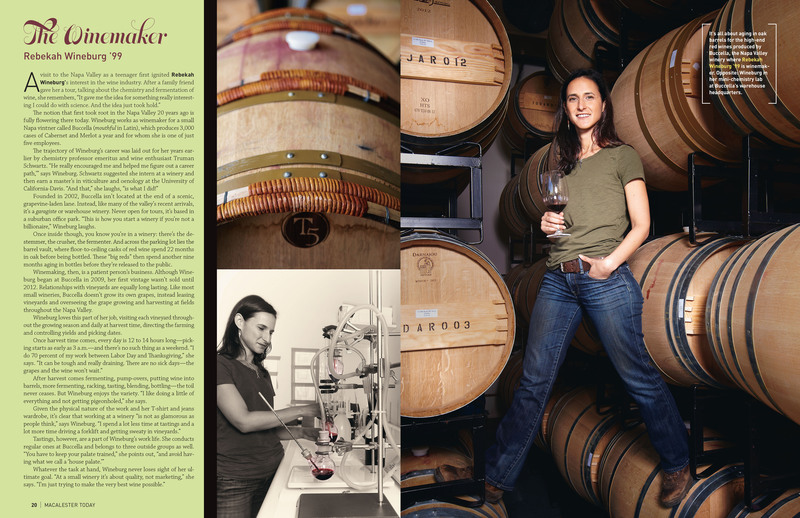 We went to Sonoma and Napa California to photograph four alumni working in the wine industry. We drove the hills and valleys of wine country met some interesting talented people living and working in the area. 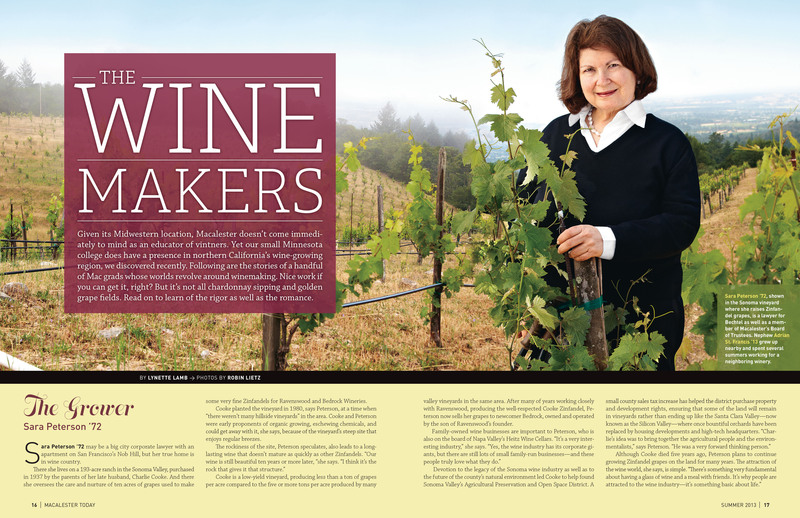 From winegrape growers to wine makers in small family run business to the large wine-producing companies. It was beautiful driving on the twisting roads with the vineyard-laced hills as far as the horizon. Reminiscent of Tuscany the area has over 400 wineries, lined up along side the roads. Everyone was very welcoming and generous, I would love to go back in the fall for harvest. The editorial photo assignment was for Macalester College Alumni Magazine. 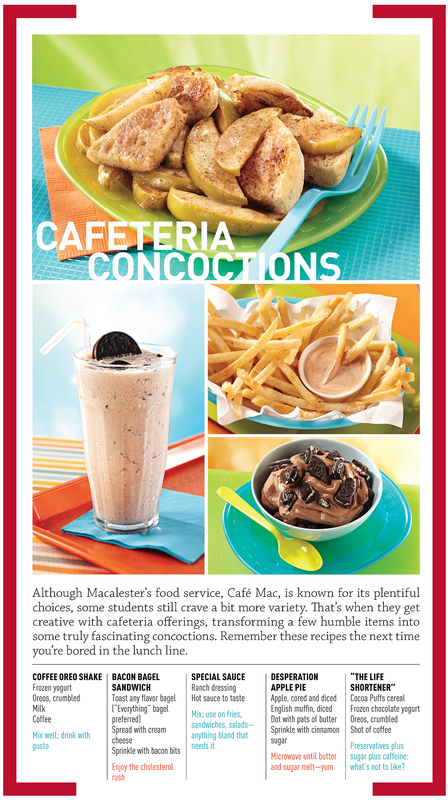 The story is recipes from the students who come up with creative food ideas with the cafeteria offerings. For the most part the recipes are fancy junk food. But isn’t that part of the college lifestyle? I thought the Desperation Apple Pie was pretty creative. 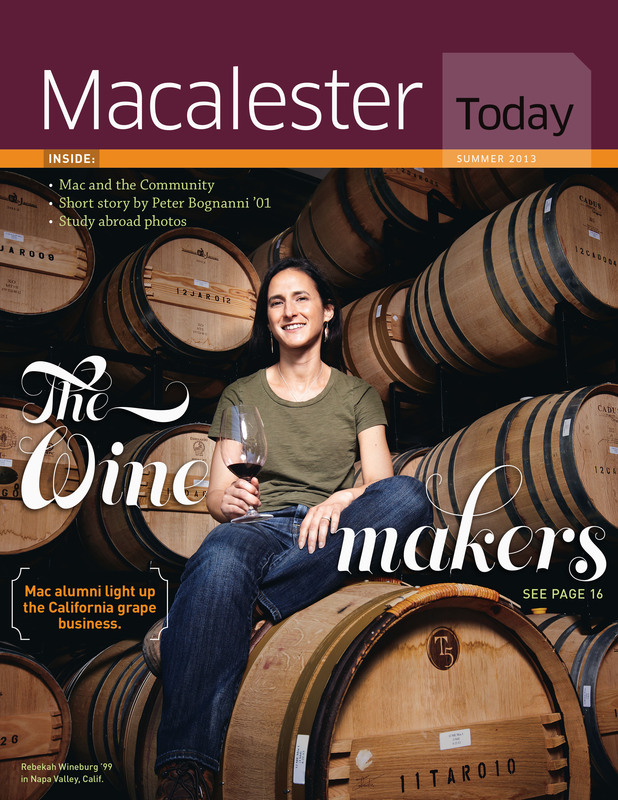 The Macalester Magazine also came out with an Ipad App version of the magazine that you can download for free. The graphic design is done by BeDesign and is very well layed-out with nice flow through the pages with excellent design. 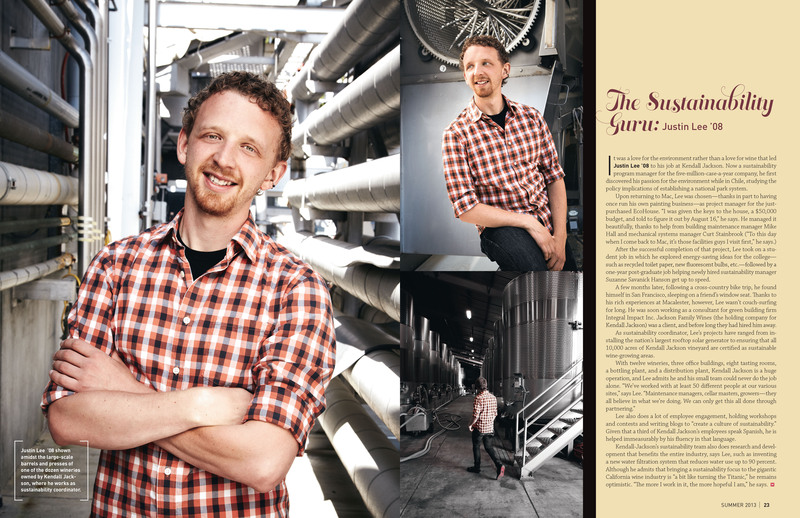 The theme of the magazine is all about food, “Macalester alumni are at the forefront of the organic farming and global agriculture movements. As part of my photo assignment I did some animated gifs that could be used in the Ipad App version.